The IMMD, an aluminium/steel design in combination with high precision cylindrical rollers and carbon fibre measuring arms, fits into smallest gaps. The mobile measuring device is designed for direct use in the production facility. 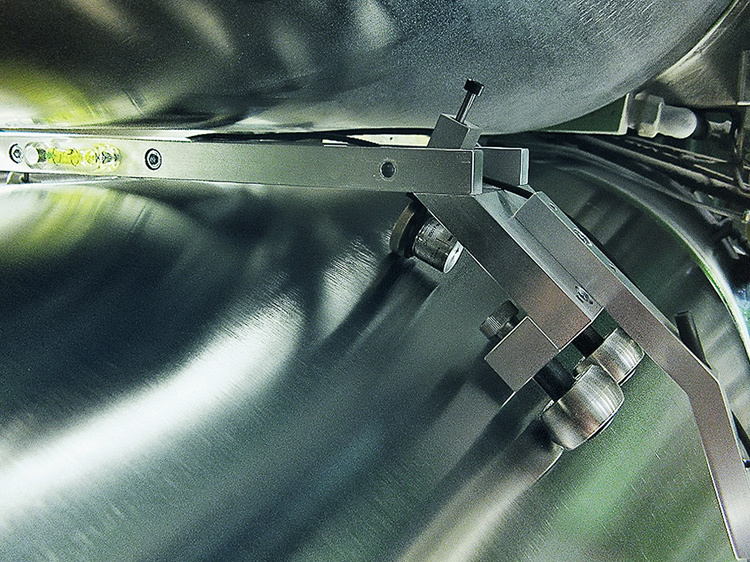 It helps operators to decide whether a roll must be taken out for regrinding or can remain in the production line. Portable measuring devices are the most accurate way to measure rolls. Thanks to its saddle design, the measuring sensor stays perfectly cantered. Measuring values are taken every millimeter and transmitted via Bluetooth® connection to either a PDA or any PC.